An all boys high school is doing its annual chocolate fundraiser. It is required for the boys this year to sell a large number of boxes to support the school. Jerry Renault refuses to sell these chocolates. This act of standing up for his beliefs angers the organization running the school, and caused him to be a target for pain and anger. he Chocolate War is far from a bad book, but it wasn't one of my favorites. Most of its characters are well detailed, but don't seem to add much to the story. The message is strong, yet I feel it could be channeled in a different way than it was. The plot seems to take its time and focus on seemingly unrelated moments (like not focusing on the main character for multiple chapters), yet the book is obviously carefully written. Personally, I wouldn't give it a recommendation. It just was not interesting or fun for me to read. The title was what caught my eye, and it wasn't the fight to the death using chocolate bars I hoped for. Despite that, anyone in need of a well written short novel, they might find some light in The Chocolate War. 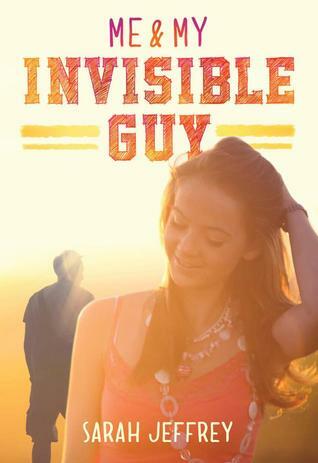 Me and My Invisible Guy is about a girl named Mallory who makes up a pretend boyfriend, Todd, just to feel included at school. She is a cheerleader and the only virgin, so she figures that Todd is the only way out. But difficulties come when a cute new boy starts at the school she goes too. Not only is she overwhelmed with what to do, but her best friend is having major family problems at home. This book really opens your eyes to the affects of peer pressure on teenagers. I personally enjoyed the book. I thought the whole story was interesting and an easy-read. I would recommend this book to others because it shows the effects of peer pressure on teens. I would recommend it to anyone who wants a teenage story and an easy-read.